by kathyregini | Comments Off on Kitchens Sell Houses! You’re not selling your house, you’re selling your kitchen – that’s how important it is! The benefits of remodeling your kitchen are huge, and the best part is that you’ll probably get more than your money back. 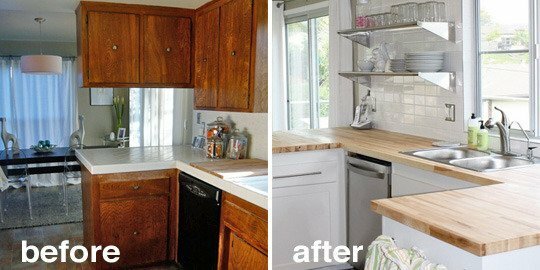 It may be a few thousand dollars to replace countertops, but a buyer may knock $20,000 off the asking price if your kitchen looks dated. What’s the fastest, most inexpensive kitchen update? Painting cabinets white, and adding new hardware is one of the biggest bangs for your buck!If it’s in your budget, upgrading to stainless steel appliances is also huge.